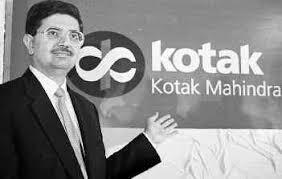 Kotak Mahindra Mutual Fund has proposed to declare dividend under quarterly dividend option of Kotak Mahindra Gilt Unit Scheme 98 under regular and PF & Trust plans. The record date is set as 22 June 2009. The quantum of dividend under regular will be Rs 0.3390 per unit and PF & Trust plan will be Rs 0.2893 on face value of Rs 10 per unit. The NAV of the scheme was at Rs 13.4148 under regular plan and Rs 11.4475 per unit under PF & Trust plan as on 15 June 2009. Kotak Mahindra Gilt Unit Scheme 98 is an open ended dedicated gilts scheme with an objective to generate risk-free returns through investments in sovereign securities issued by the central and/or state government and/or reverse repos in such securities.